As reported by Deadline, former child actor Kevin Corcoran has died. He was 66. Corcoran was born in 1949 and had already begun acting by 1954, taking an uncredited role in The Glenn Miller Story. Shortly after that, though, he got a proper start as an actor by appearing in several movies and TV shows produced by Disney in which he played a kid nicknamed “Moochie.” These included Adventures In Dairyland, The New Adventures Of Spin And Marty, and The Shaggy Dog, although none of them actually shared any “continuity” beyond the existence of a kid called Moochie. Apparently the people at Disney just thought Corcoran had a knack for playing kids called Moochie who liked to hang out with older kids and be harmlessly rebellious—which were traits that all of the Moochies shared. Despite all of that, Corcoran’s most famous acting role—by far—was his appearance as Arliss Coates in Old Yeller. Arliss was the youngest brother in the film, and he’s the one that the dog tries to attack after getting rabies. It’s this attack that drives the story toward its heartbreaking ending, making Corcoran’s role as Arliss integral to the emotional weight of the ending. 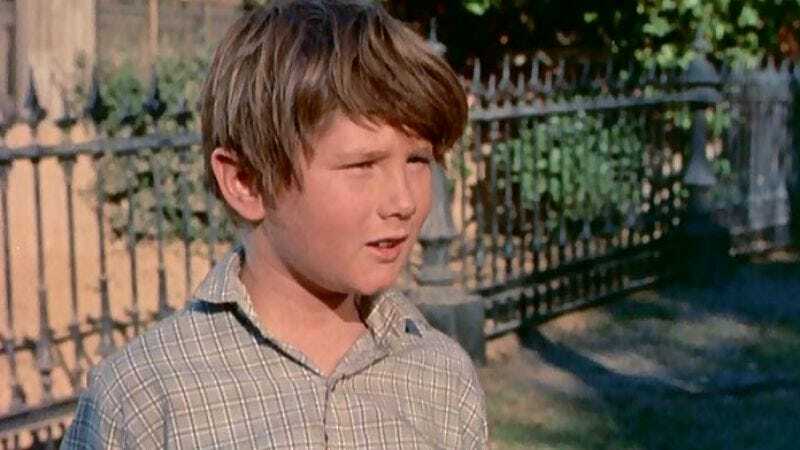 After Old Yeller, Corcoran appeared in a few more films, including Pollyanna, Swiss Family Robinson, and Babes In Toyland, and he also reprised his role as Arliss in the Old Yeller sequel Savage Sam. His last real acting job came in 1968, in the Terrence Stamp-starring Western Blue. After that, Corcoran left acting so he could get an education in theatre arts from California State University, Northridge. With degree in hand, he returned to the entertainment business and started working behind the scenes as an assistant director and producer. He also stayed with Disney for several more years before leaving to work on Murder, She Wrote, The Shield, and—most recently—Sons Of Anarchy. In 2006, Corcoran was given a Disney Legends Award, entering him into a hall of fame-type institution that honors people who have made significant contributions to The Walt Disney Company.